[DIGITAL DOWNLOAD ONLY] Runoff from rural areas carries pollutants to nearby waterbodies. 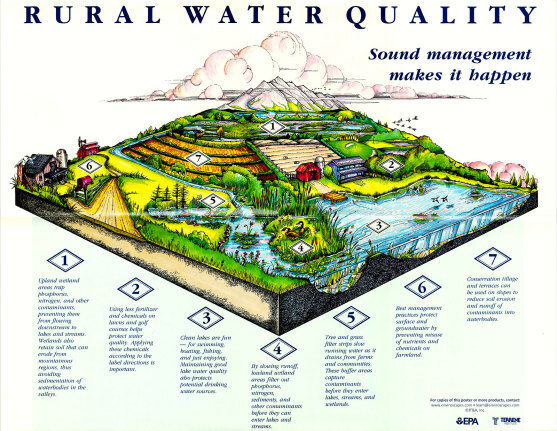 This full-color friendly poster illustrates some of the many ways such water pollution can be prevented in rural America (size: 17" x 22"). This is a scanned image of a folded poster created by hand some years ago as print copies are no longer available; image may show a folded crease but should print well.